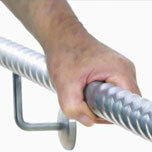 Seaquest Marine Systems is proud to be the word wide distributor for the KAG Safety Rail System from Acusafe. Acusafe develops solutions that are proven in the marine environment, providing the best grip and significantly less ‘slip’ in any conditions or situations. From rescue boats to naval vessels, cruise ships and leisurecraft, being on the water is an unpredictable and often unstable environment. KAG Safety Rail comes with fibre-optic lighting option which provides increased visibility for night staff, improved protection from ‘no-go’ zones and added directions through different coloured lighting. In addition, our fibre optic end point lighting reduces carbon foot prints and lowers power bills. Based on independent testing by the HIBB Electrical, the LED driver in the fibre-optic hand rail has been proven to be 14 times more energy efficient and cheaper to run compared with a 36W (Watt) fluorescent tube. The testing looked at the energy efficiency break-down for LED driver in KAG fibre-optic hand rail compared to a 36W Fluorescent tube (based on 5m of KAG fibre-optic hand rail lighting). *This example is for replacement of fluorescent lighting only, but comparable results will be seen across the board when replacing existing lighting with LEDs. You can also replace flood lights. Flood lights will have a minimum of 80% savings of electricity costs compared to current technologies being used. 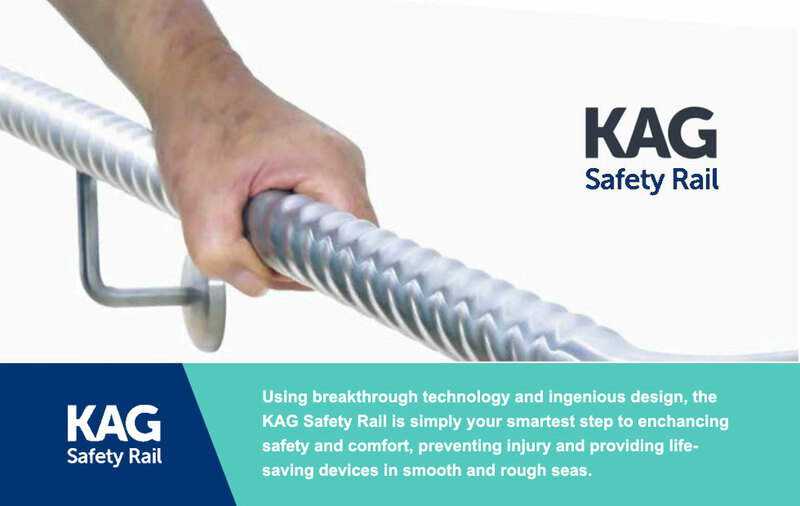 Seaquest Marine, together with Acusafe, can custom-fabricate KAG safety rails to suit your marine requirements and improve occupational health and safety standards in your work environment. Please contact kuhan@seaquestmarine.com.sg to enhance your safety and promote a sustainable environment.